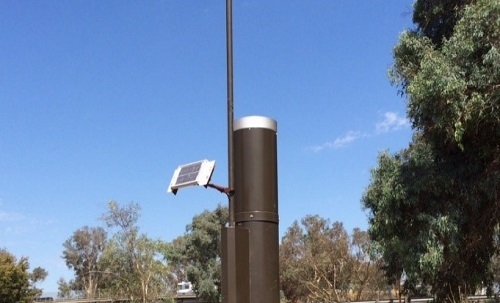 San Joaquin County ALERT System Rehabilitation and Upgrade (CA) | WEST Consultants, Inc.
San Joaquin County’s original flood warning system consisted of a network of ALERT rainfall and stream sensors that automatically telemetered data to a central computer receiving station. WEST Consultants was engaged by the County under a series of contracts to rehabilitate and update the County’s system. To help fund the effort, WEST supported the County in a successful pursuit of nearly $1 million from four Emergency Response Grants sponsored by the California Department of Water Resources. In the first phase, eight legacy ALERT rain gages were rehabilitated and a new cloud-based data collection, display, and management system was installed. The cloud-based data management system was able to ingest more than 90 additional sites installed and operated by other agencies. This approach leveraged existing resources and reduced the chances of duplicated efforts. A second phase developed a transition and implementation plan to migrate from legacy ALERT flood warning system gages to the new ALERT2 communication protocol. The effort included drafting individual transition plans for agencies with ALERT systems throughout northern California.